I haven’t blogged in a few weeks because, well, not much has happened since the holidays. Our older kids are back in college, work has resumed, and day-to-day life is back in force. I miss the holidays, but it has been good to be productive at work and to get back into a daily rhythm. 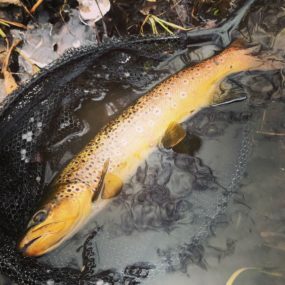 With cold weather and high water, I’ve fished very little but did go out last Saturday to brave the elements and was fortunate to land a good trout. 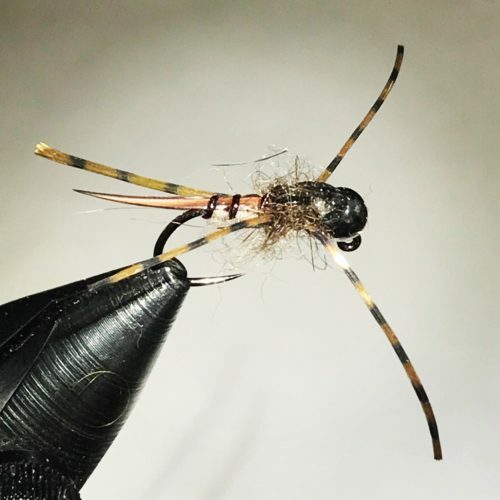 For fly-fisher folks, winter is a time to clean your gear, cull the fly boxes and tie new patterns. It is a good way to look forward to spring, when the sun is high, the foliage is lush, and the fish are eager. 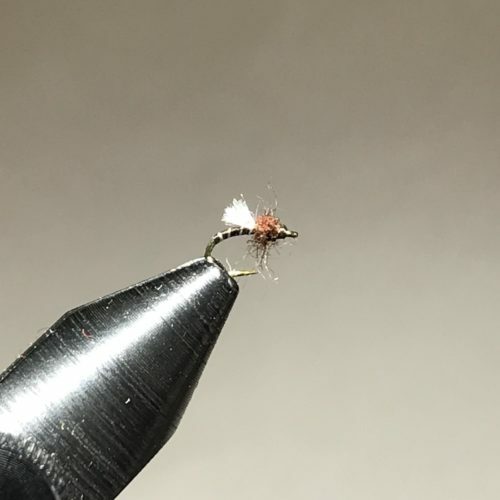 On a Friday night, like tonight, some delivery pizza, red wine, music and fly tying comprise a solace. 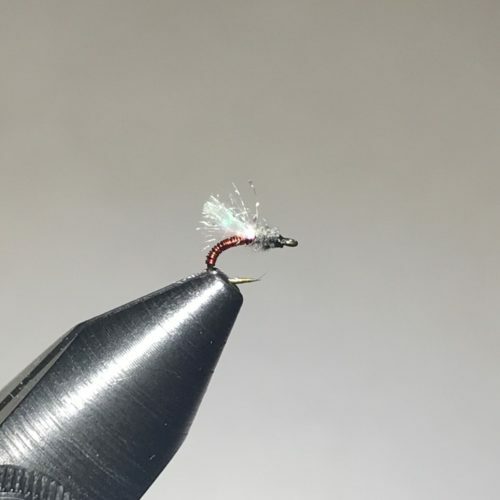 On cold Saturday mornings, before anyone else is up, you’ll find me tying flies next to the fireplace. 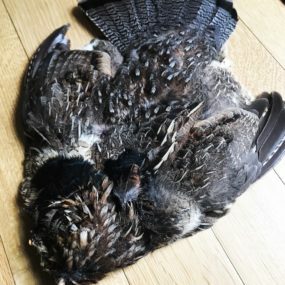 Recently, I ordered some new materials, such as a beautiful ruffed grouse skin from the Rocky Mountains. The articulation on the feathers is incredible. 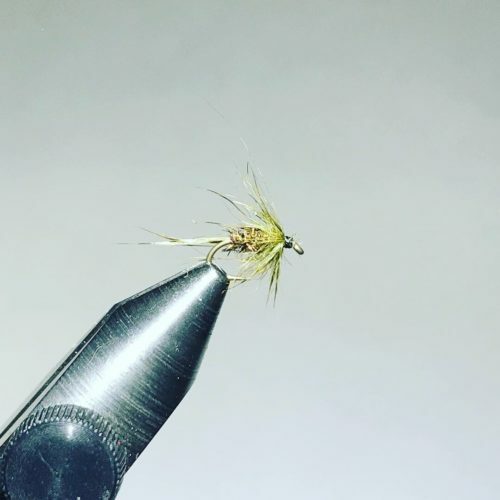 I am making some new flies. 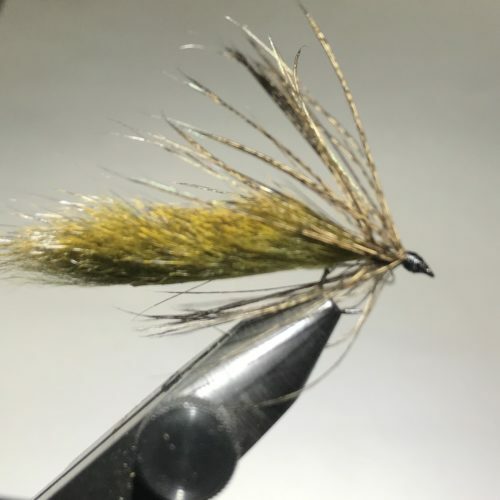 Mrs. T. this summer wants to fly fish for the first time, and so, I already am getting things ready for her. 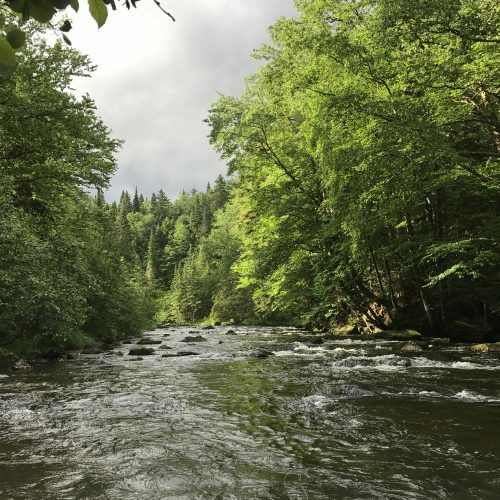 We’ll be doing a long weekend up in NH, near the Canadian border, at the same place to which I go every summer and at which I taught each of our children how to fly fish (prior post here). Once he/she was tall enough to stand in the river, it was a coming-of-age rite of passage to head north with Dad. It really is heaven up there for me. Mobile phones don’t work, the locals are very friendly, the rooms are rustic, and the views are breathtaking. Here are some of my January creations. It is fun to use your imagination. 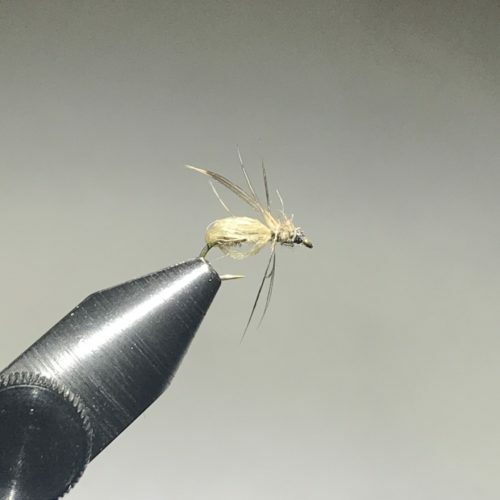 Some of the flies are large and many are tiny, down to less than 1/4″. I hope you’re having a good January. Go, Patriots! Eric and I will be in Atlanta for the Super Bowl, and I’m super-pumped.